Unsure which solution best fits your needs? Need a custom solution? We can design and build safes and vaults to meet your needs. Our line of ArmorStor Marijuana industry security solutions are designed to meet or exceed regulations set forth by the DEA for the storage of Schedule I narcotics. Most States that have legalized either Medical or Recreational Marijuana production and sales have used the DEA Diversion Control physical storage guidance set forth in part 1301.72 of the Title 21 Code of Federal Regulations. 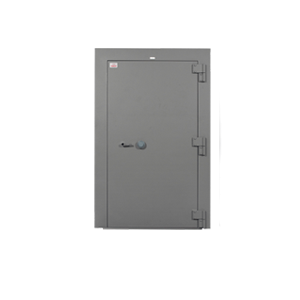 To attain this level of security, we offer built-to GSA Class 5 rated vault doors as well as TL15 and TL30 rated safes. The vault doors are paired with a Day Gate that has a self-locking latch and is equipped with an Electric Strike Kit to allow your alarm company to add additional access controls such as a card reader. 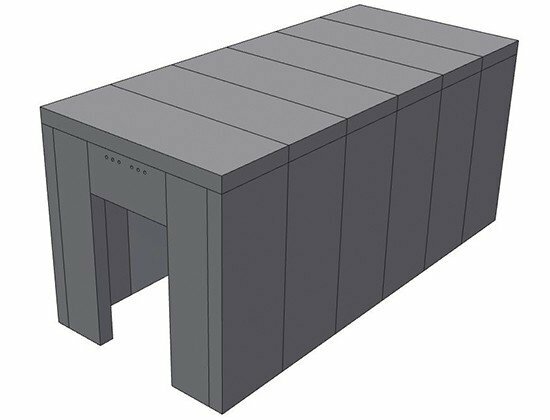 Our Modular Vaults are constructed of high density reinforced concrete panels and are tested and approved under the UL 608 Specification. Class 1 panels are the standard, and while they are only 4” thick, they are equivalent to a 12” poured wall with 3 layers of rebar, per ASTM standards. They offer a 30 man-minute protection against Forced Entry.